This review has been long overdue, before I start, let me just tell you that despite it’s shortcomings and limitation, this piece of gear won’t dissapoint you at all. The Tamron AF 180mm f/3.5 Di SP Macro Lens comes in Canon, NIKON and Sony mount, I have the Canon mount for my EOS 7D and EOS 60D. I got mine from Amazon for only $639.00 after rebate late April (2012). I love photographing wildlife around me, and that includes, insects, bugs and the likes. To do this I need a longer lens that will give me some distance between me and my subjects so as not to spook them away. 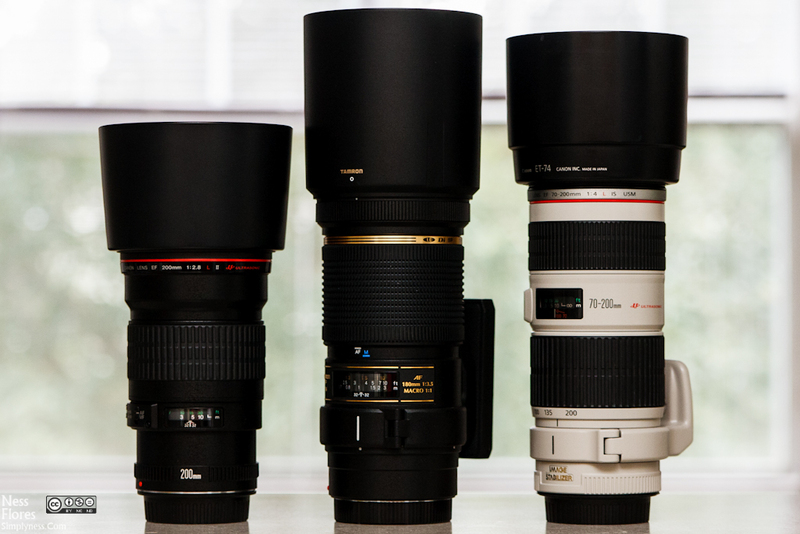 I choosed between three lenses, the Canon EF 180mm F/3.5, the Sigma 150mm F/2.8 OS EX and the Tamron 180mm. The Tamron and Canon 180mm both has F/3.5 fix max aperture and the sigma 150 is a F/2.8 which is a plus and it has OS, but cost more than the tamron, both the Canon and Tamron has slow autofocus, (i’m sure the tamron is slower), and so I was set to buy the Sigma 150mm F/2.8 OS, but I hesitated in the end for two reasons, first I needed a longer focal length, (180mm is the one I wanted at first), 2nd is the price, $1099 vs $689, a $400 difference. So I went ahead and took a chance on the Tamron AF 180mm f/3.5 Di SP Macro Lens, up to now, I still enjoy using it for occasional hunting of insects and other wildlife, also for perfect for not so small and distant birds. 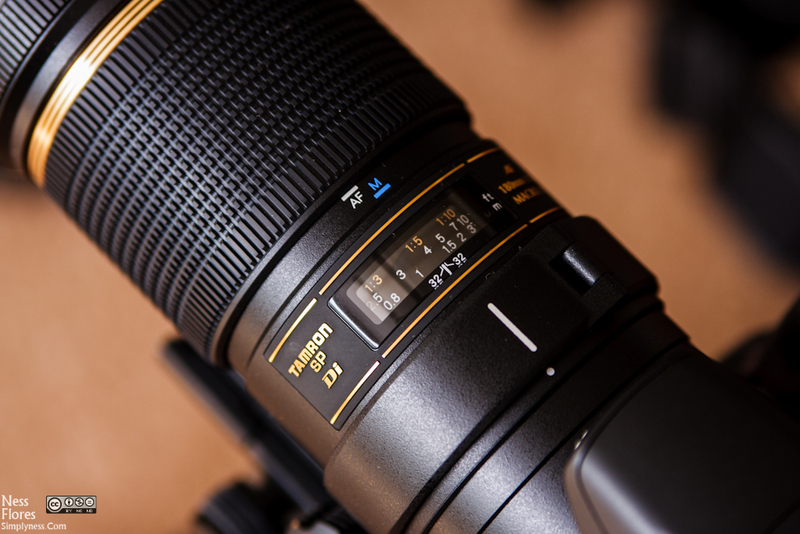 Like all Tamron Lenses, this lens has a very long name – Tamron AF 180mm f/3.5 Di SP A/M FEC LD (IF) 1:1 Macro Lens . Di – (Digitally Integrated Design) is a Tamron designation that applies to lenses that have been optimized for digital capture using advanced multi-coating techniques and optical designs that assure excellent image quality across the entire picture field. Tamron Di lenses are performance optimized for digital SLR cameras and usable with DSLRs featuring sensors commonly referred to as APS-C, measuring approximately 24mm x 16mm, as well as larger full frame (36mm x 24mm) sensors and 35mm film SLRs. LD – LOW DISPERSION : Low dispersion (LD) glass elements in a lens help reduce chromatic aberration; the tendency of light of different colors to come to different points of focus at the image plane. The Filter Effect Control is designed to rotate the filter to the desired position while the hood is attached. This is accomplished by turning the FEC ring that in turn rotates the portion of the filter mount where the filter is mounted. IF – INTERNAL FOCUSING : Internal focusing (IF) provides numerous practical benefits to photographers including a non-rotating front filter ring that facilitates the positioning of polarizing and graduated filters, and more predictable handling because the lens length does not change during focusing. The Tamron AF 180mm f/3.5 Di SP Macro Lens comes with a detachable lens hood, a really good tripod mount ring, manual, registration form and a padded lens case. The padded lens case is fairly useless because it is not design to be carried outdoors. The Tamron AF 180mm f/3.5 Di SP Macro Lens comes with a very dissapointing lens case / pouch, a really nice and sturdy lens hood and a durable tripod mount ring. It would have been nice if they added a belt loop with the case or a nice shoulder strap so I can carry it around my shoulders and not carry it by hand. The lens is entirely made of hard plastic with no weather sealing. But despite that, it still feels solid and well built. It sports a internal focusing system which is nice because it maintains a constant length when focusing. Talking about focus, it is true that AF (autofocus) is slow, and it doesn’t have a focus limiter which makes it seems really slow because it’s micro motor has to travel the entire focus range. Thanks to the well-textured broad focus ring, manual focusing is really smooth and precise. It takes time to get use to the AF / MF switch, unlike other lenses, this one doesn’t have an On / Off autofocus switch, instead it uses a focus clutch mechanism like the ones found on tokina lenses. Switching is done by simply sliding the focus ring back and forth between the two positions you can select either the AF or MF focusing position. Another nice feature that I like is the built-in FEC (Filter Effect Control), basically if you use a circular polarizing filter, the FEC rotates the filter to your desired position while the lens hood is attached. I really wish, all lens manufacturer will incorporate this feature on their lenses. 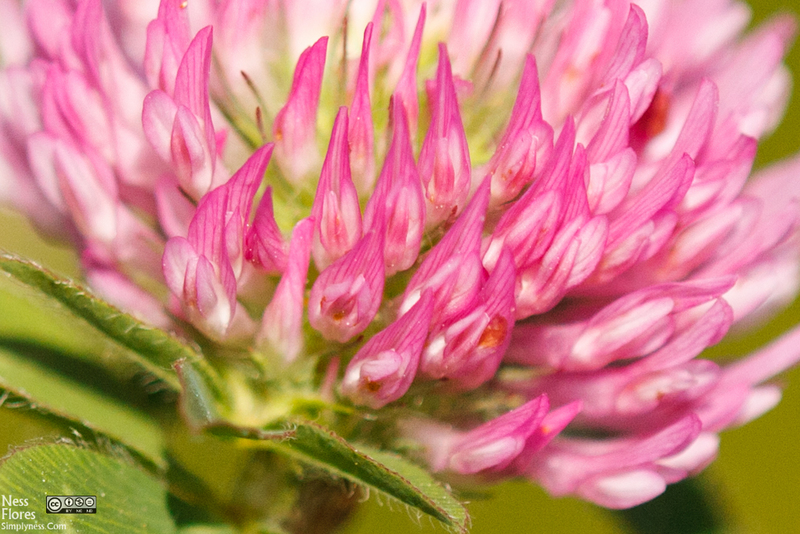 Overall, the Tamron AF 180mm f/3.5 Di SP A/M FEC LD (IF) 1:1 Macro Lens is a great lens. If you are worried about the autofocus issue, don’t be. When doing macro I assure you that, you will be in Manual Focus most of the time, and in the event you need to use the autofocus, it can be done, what I do is, I quickly switch to manual focus and pre-focus and switch back to auto, this way, the lens motor doesn’t have to travel the entire focus range, you’ll notice that the af is precise and achieves focus in an instant. With regards to VC, yes it helps, but it will also add to the costs of the lens. I don’t worry too much about IS/VC, I just bump up my shutter speed or use flash to compensate and stop the action, there are times I use my Manfrotto 682B Monopod to add stability. Shown here is the Tamron AF 180mm F/3.5 SP Macro Lens in between two Canon L Lenses. The EF 200mm F/2.8L II USM on the left and the Canon EF 70-200mm F/4L IS USM Lens. 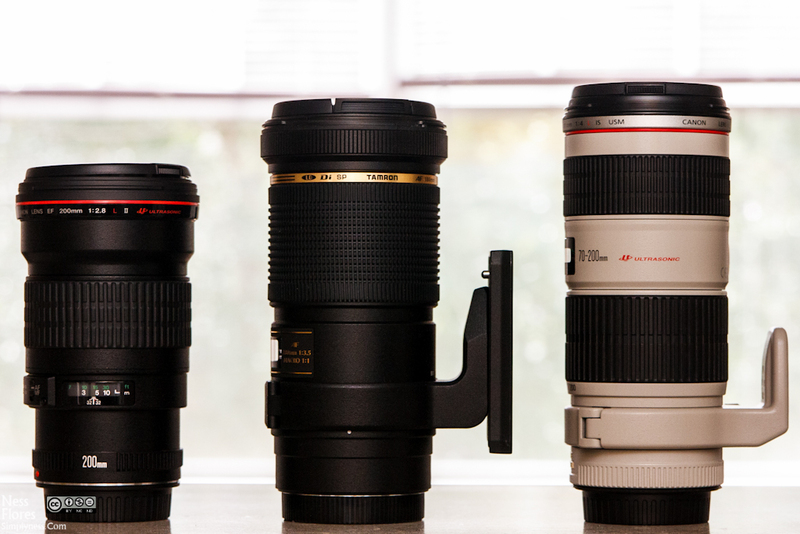 Above, the Tamron AF 180mm F/3.5 DI SP Macro Lens is shown in between the Canon 200mm f/2.8L Prime Telephoto Lens and Canon 70-200mm f/4 L IS . It is longer than the Canon 200mm Prime lens and a little bit shorter than the Canon 70-200mm F/4L IS. Of all these three, the Tamron is heavier, but it feels really wel in my hands. The Tamron is also shown with it’s really nice tripod ring mount with a Vanguard QS-45 Quick Shoe Plate. The same three lenses, this time each with it’s own lens hood attached. Here’s a photo of the same three lenses, this time each with their very own lens hoods. 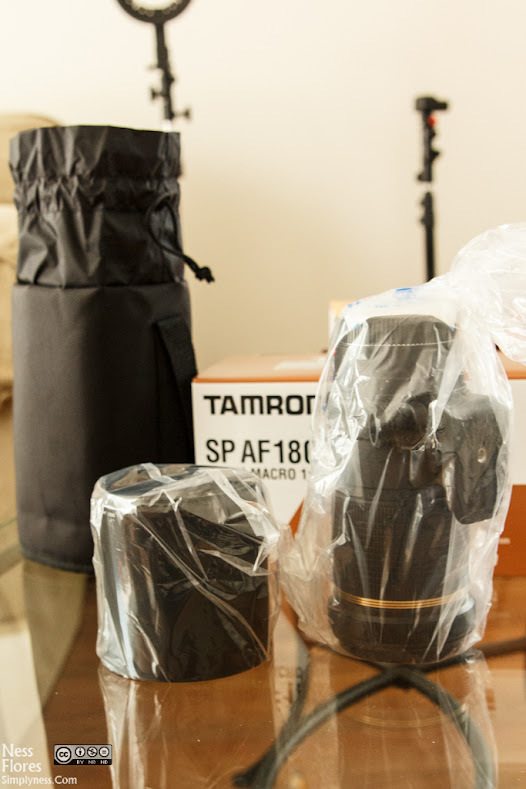 The Tamron 180mm macro is the longest of all three lenses. The Canon EF 200mm Prime is so tiny compare to the Tamron 180mm Macro. Gives you excellent quality images. Built-in FEC – Filter Effect Control, you can use and rotate filter even with lens hood attached. Smooth big rubberized focus ring, which is really great to use in Manual Focus mode. Comes with a well made tripod mount ring. and best of all it’s cheap. No focus limiter, making the af horribly slow. Part II – Conclusion and Sample Photos. 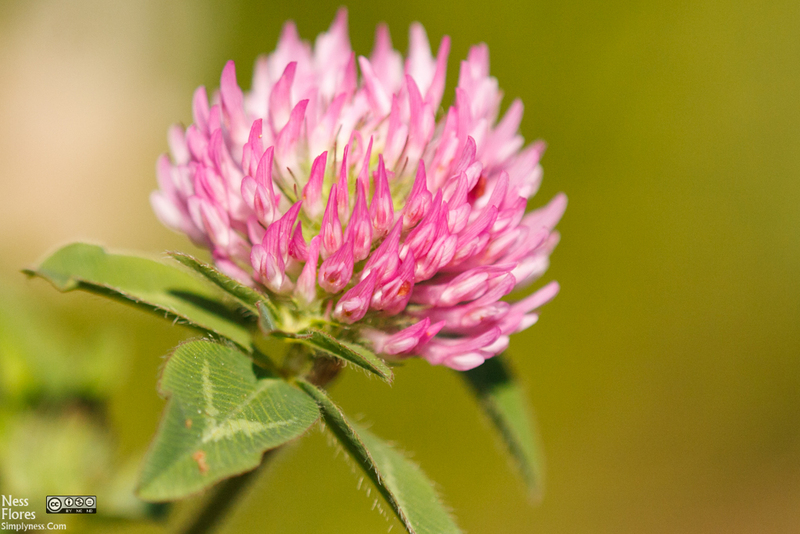 Below is a quick sample photo taken with the Tamron AF 180mm Macro lens. This entry was posted in Photography Gear Reviews and tagged in 180mm, f/3.5, fec, filter effect control, gear review, macro, macro lens, review, reviews, sp, tamron, Tamron SP AF 180mm f/3.5, tripod mount ring.